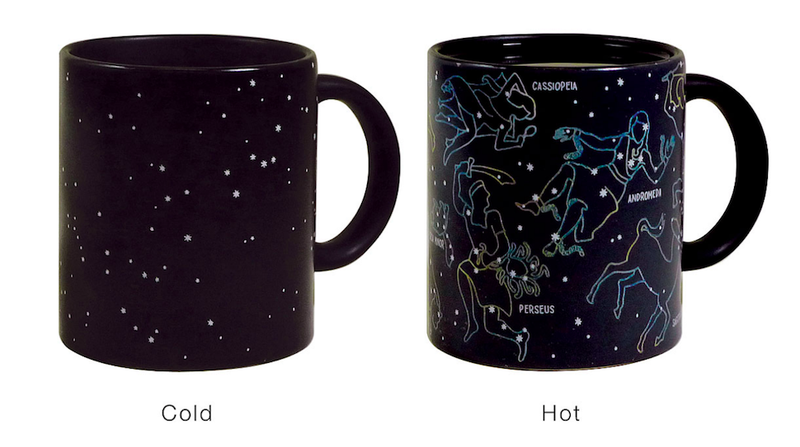 The Constellation Mug looks pretty unremarkable when empty. A casual observer might not even recognize the little white flecks as stars. But pour yourself a hot cup of coffee or tea, and eleven constellations – including Orion, Hercules, and Perseus – spring into view. Do want. Yeah, we know temperature-sensitive mugs aren't really anything new – but this was too cool to pass up. Who wouldn't enjoy starting their day with a little sup from the heavens?